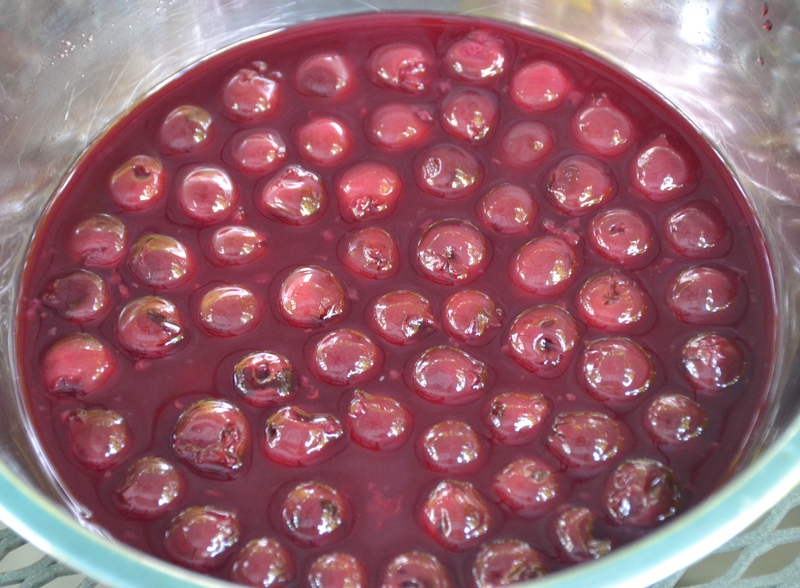 This recipe for a juicy, easy-to-throw-together cherry pie concludes my countdown of thirty recipes for July Fourth! I couldn’t resist the jar of dark Morello cherries at Trader Joe’s and they were delicious baked into a pie. Add some vanilla ice-cream and some blueberries and you’ve got the perfect American, red, white and blue Fourth of July dessert. I used pre-made pie crusts and cut the top into a lattice design based on the instructions here. You can find all of my cookout inspired July Fourth recipes here. 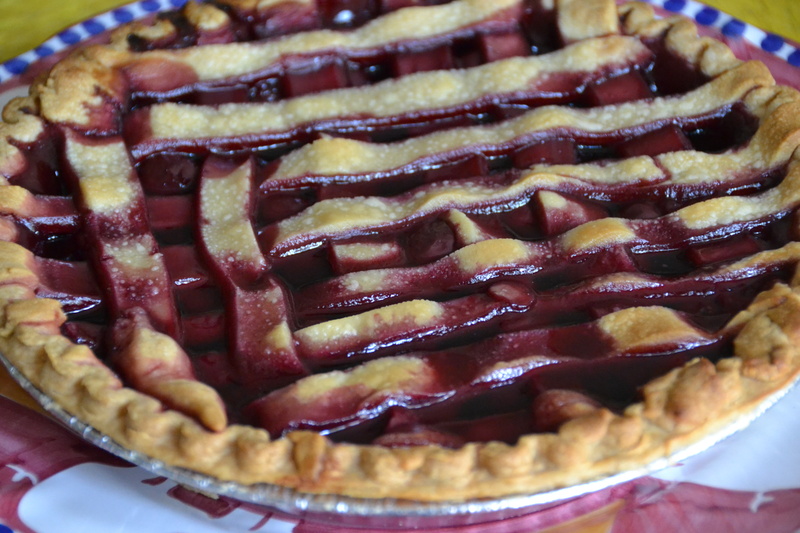 Ummm…the cherry juice is NOT SUPPOSED to inundate the top of you lattice top pie you have pictured. way tooo much juice! Next Next post: Thirty Recipes for the Fourth of July!